An unforgettable night in the Maldives always includes a fine dining experience. Hosting world-class chefs, Diamonds Thudufushi’s plan to host a world-renowned chef every now and then throughout the year was kicked off with the best of the best on January 19. 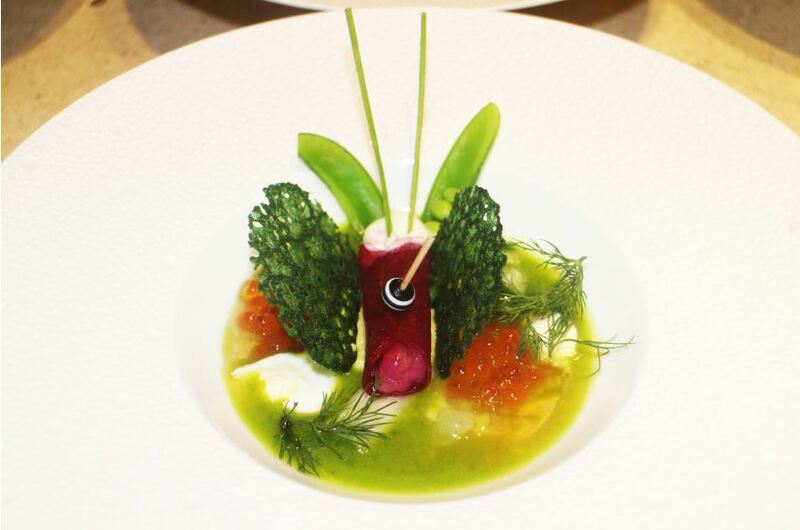 Chef Ana Roš, from Slovenia and Ernesto Iaccarino alongside Giacomo Gaspari, rolled up their sleeves to deliver an unforgettable gastronomical experience. 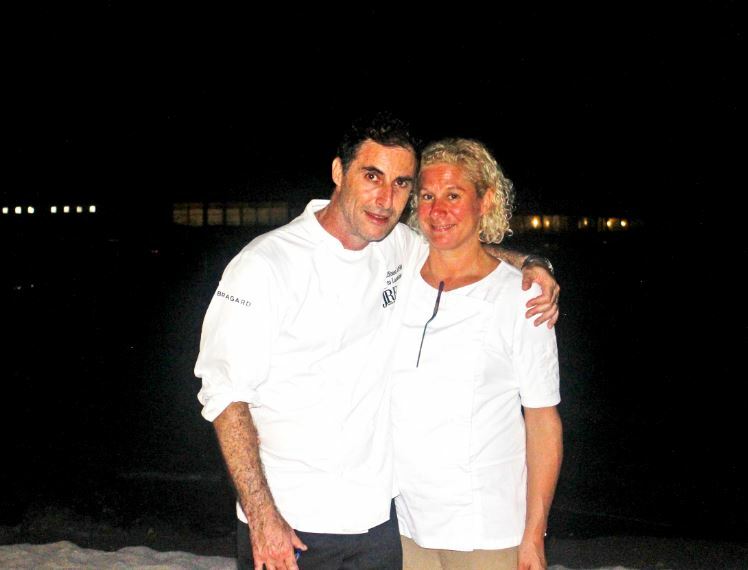 Giacomo Gaspari, the resident executive chef at Thudufushi, is a well-known individual for his award-winning menu preparation background. His calm and collected manner of going about his business is why he makes no mistakes and almost always gets it right in the kitchen. 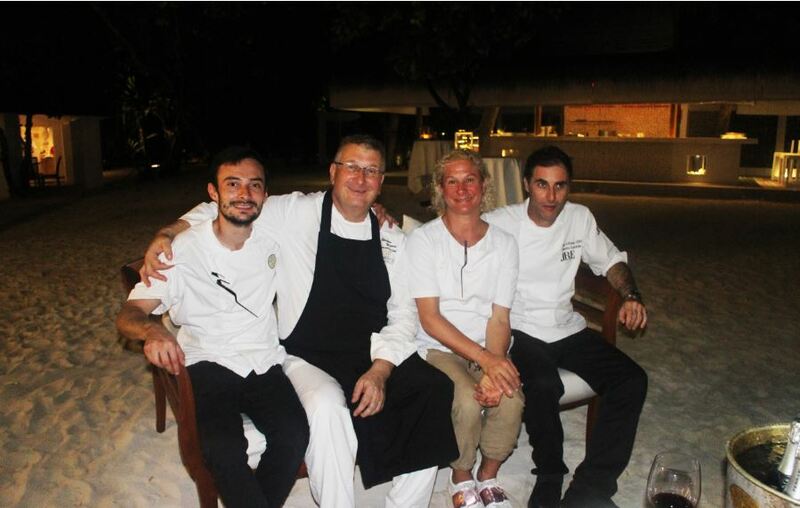 As the head chef at Thudufushi for more than 7 years, Giacomo was truly at home and in his zone at this special dinner event at the resort. Ernesto Iaccarino, following in the footsteps of his father has a standout name in the industry for quite some time now. 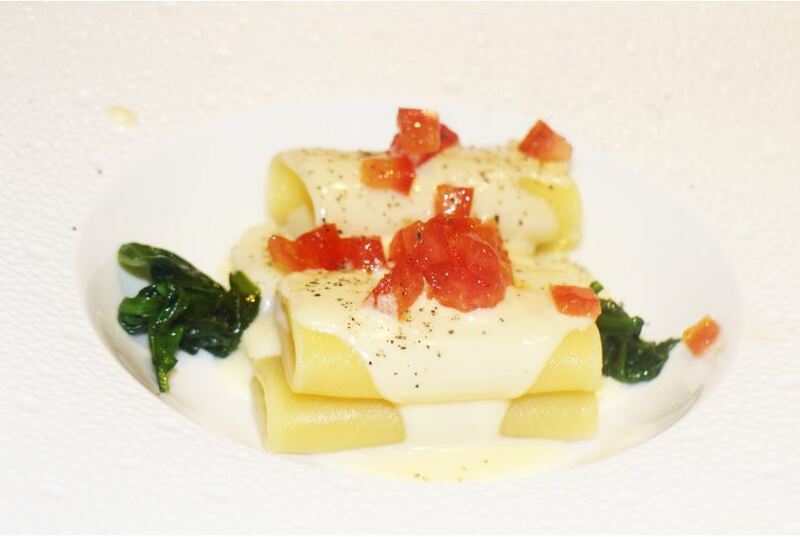 Hailing from the mountainous regions of Naples, Ernesto has travelled all over the world to collect knowledge on the art of cooking. His style is one that is adaptable to all kinds of cuisines and synonymous with respecting the traditions the cooking. Chef Ana, named as the world’s best female chef for the year 2017 is from Slovenia. As a self-taught cook, she has come a long way from her beginnings to being named as one of the most honoured chefs of today. Innovative and distinctive from others in her craft, the fact that Ana was present at this event gave guests a whole new sense of exhilaration and excitement. Two long tables of enthusiastic guests seated on the beach were eagerly waiting when the first course was served. Not taking the foot off the pedal, the staffs from the resort were rushing around to provide to every need that these special guests asked. First up on the menu was the Pumpkin Glassée with tropical Fruits, green mango fermented with duck by Giacomo Gaspari and as the night went on, the servings only got better. Ana Roš presented the patrons with a delightful Pacchery Cacio E Pepe, Scorpionfish along with Sautéed spinaches and a dessert consisting of different types of chocolate with different consistencies, bread and olives. Ernesto produced a remarkable Seabass cooked in Banana leaves, with Green Zucchini Cream, Tomato soup and Green lemon. 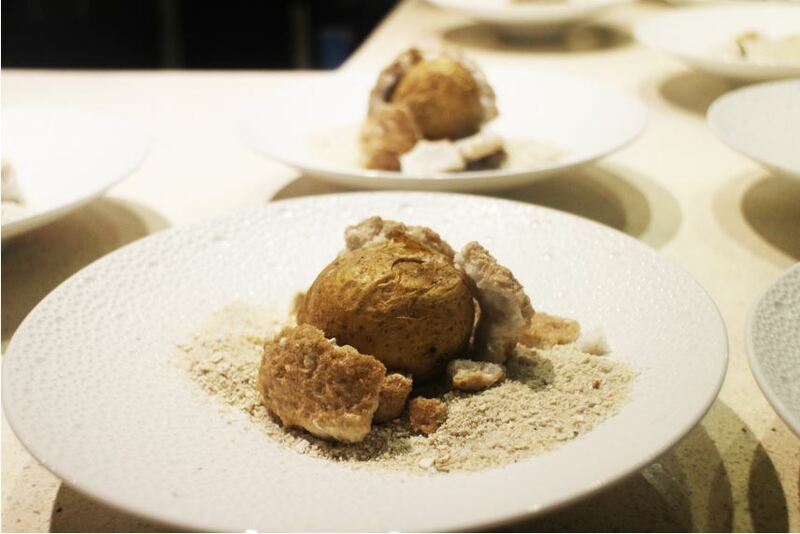 But perhaps the most eye-catching dish presented on the night was a baked potato that had been mixed with coral sand from the Maldives to bring an extravagant flavour of natural saltiness. An atmosphere filled with fun and excitement along with an appreciation of the brilliance of these chefs were was infectious among the guests, as they dined on the cuisines. Putting the final garnishes to the outstanding dinner, the three chefs stated how grateful they were of the opportunity to experiment with their craft and provide an immaculate dining experience to the guests of Diamonds Thudufushi. Their collaboration in the kitchen can stand as testimony as to how far the culinary industry has come and how developed it is with different types of cuisines and different techniques being used. Working as a team, the three masters in their craft, showed true wonders that can come out of Michelin starred chefs and why are they are held in such high regard. Diamonds Thudufushi also deserves a hand of applause for holding an event of such calibre, as it is no easy feat to source and organize such an event so flawlessly. 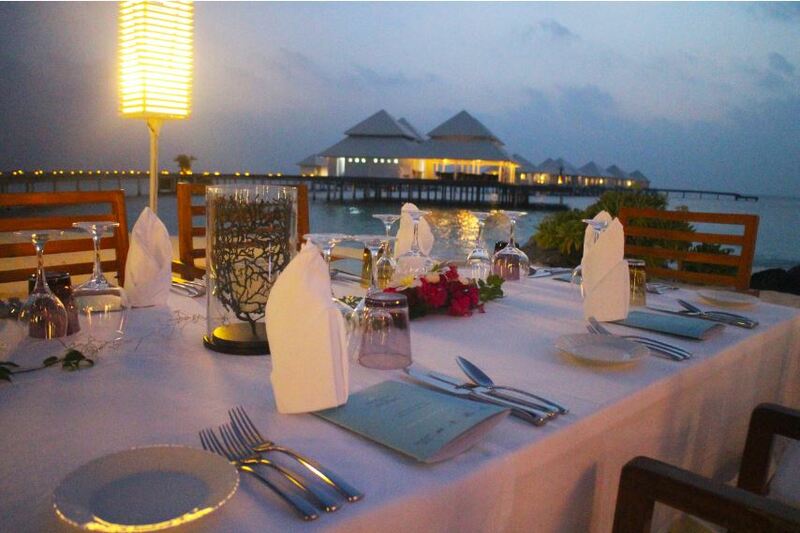 Diamonds resorts in the Maldives have a lot more of these dinners scheduled for their guests throughout the year. 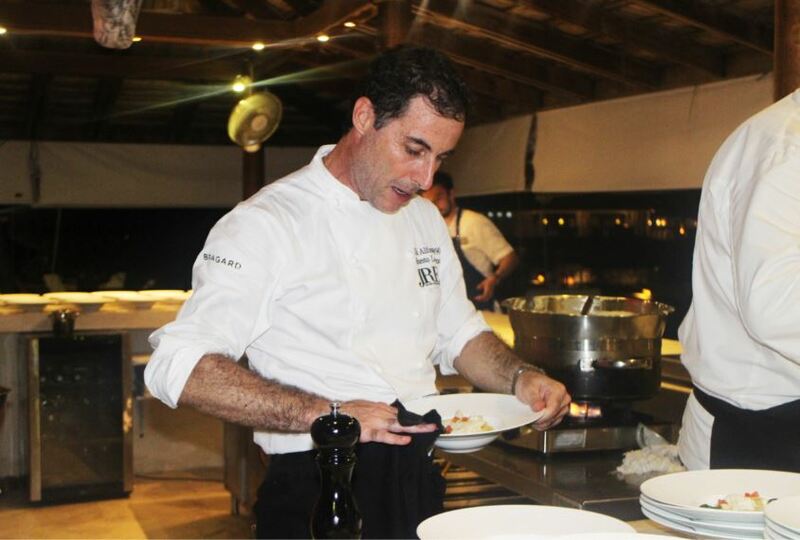 The resorts have further plans to host chefs such as Massimiliano Mascia, Daniel Fahrenbacher and Iside De Cesare later on throughout the year.